Kelly Olynyk (Kamloops, BC) had 9 pts, 4 rebs, 2 asts, 1 blk in 34 mins in BOS’s 103-94 win over BKN. Tristan Thompson (Brampton, ON) had 14 pts, 11 rebs, 1 blk in 31 mins in CLE’s 122-100 win over TOR. Andrew Wiggins (Vaughan, ON) had 16 pts, 3 rebs, 2 asts, 1 stl, 2 blks in 25 mins in MIN’s 109-99 loss to PHI. Trey Lyles (Indianapolis) had 13 pts, 4 rebs in 22 mins in UTAH’s 93-91 loss to HOU. 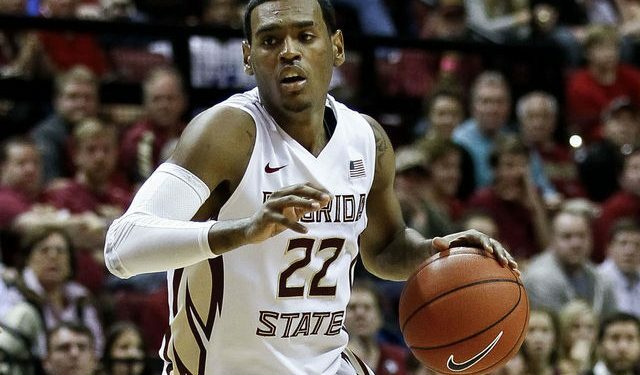 Xavier Rathan-Mayes (Toronto) had 30 pts, 4 rebs, 3 asts in 34 mins in Florida St’s 106-90 loss to UNC. Ben Millaud-Meunier (Montreal) had 24 pts, 2 rebs, 5 asts, 1 stl in 35 mins in St Francis (PA)’s 84-80 win over Sacred Heart. Erika Steeves (Montreal) had 12 pts, 4 rebs, 1 ast, 1 stl in 21 mins in Brown’s 74-49 win over NJIT. Brianne Cohen (Toronto) had 12 pts, 5 rebs, 1 blk in 15 mins in Detroit’s 82-68 win over Cleveland St.
Alex Klein (Waterloo, ON) had 11 pts, 8 rebs, 2 stls, 3 blks in 20 mins in Bryant’s 70-41 win over Fairleigh Dickinson. Chanel Ramcharran (Pickering, ON) had 13 pts, 3 rebs in 19 mins in Bryant’s win over Fairleigh Dickinson. Paige Crozon (Humboldt, SK) had 24 pts, 10 rebs, 1 blk in 37 mins in Utah’s 88-83 win over Washington. Emily Potter (Winnipeg) had 16 pts, 9 rebs, 2 blks in 30 mins in Utah’s win over Washington. Jamie Weisner (Clarkston, WA) had 19 pts, 2 rebs, 2 asts, 1 stl in 30 mins in Oregon St’s 71-51 loss to UCLA.